—on three hot summer days more than 50,000 young people had their heads, arms and legs blown off by bombs; or were shot, stabbed, clubbed, beaten bloody and rounded up at gunpoint. Imagine yourself an ordinary foot soldier among tens of thousands of young men, marching for weeks through clouds of dust and quagmires of mud—hot, cold, wet, sweaty, dirty, thirsty, hungry, blistered, bone-tired—rushing to hurl themselves at each other ferociously in the largest battle to the death ever fought in the western hemisphere. Imagine what was it like on those summer days in 1863 when 71,000 Confederate infantry, artillery and cavalry troops waded across the Potomac River, marched through Maryland, and invaded the rolling green and gold farmland of Pennsylvania—with 95,000 Union troops chasing them. 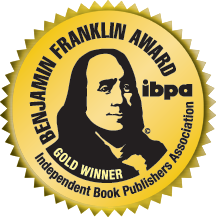 This book tells the sweeping story of the Gettysburg Campaign in dramatic fashion. To bring the marching and battle scenes to life, talented contemporary photographers—some dressed in period-authentic uniforms—participated in 150th Civil War reenactment events across the country. They made more than 100,000 images. Included are action and death scenes shot at Devil’s Den and Little Round Top with special permission from Gettysburg National Military Park. Extraordinary scenes were also staged of Confederates wading across the Potomac at the actual site where General A. P. Hill’s Third Corps of the Army of Northern Virginia did in June 1863. Several hundred photos were carefully chosen to effectively illuminate this book. The magic of modern digital photography makes the gripping visual imagery in this book possible—including panoramic scenes of the real battlefield with all modern roads and monuments eliminated that will have you doing double-takes. These photographic techniques were simply not available to previous generations of publishers attempting to chronicle the Battle of Gettysburg. These spectacular new images are skillfully combined with rare 1860s personal portraits of soldiers who fought—and were killed, wounded or captured—in the fiery chaos, along with historic photos of the gruesome aftermath of this gigantic 19th century battle. The visual approach is fresh and unprecedented. But the voices from the battle are the heart of this big book. Thousands of pages of original letters, journals and diaries were combed from dozens of historic collections to create a remarkable eyewitness narrative. 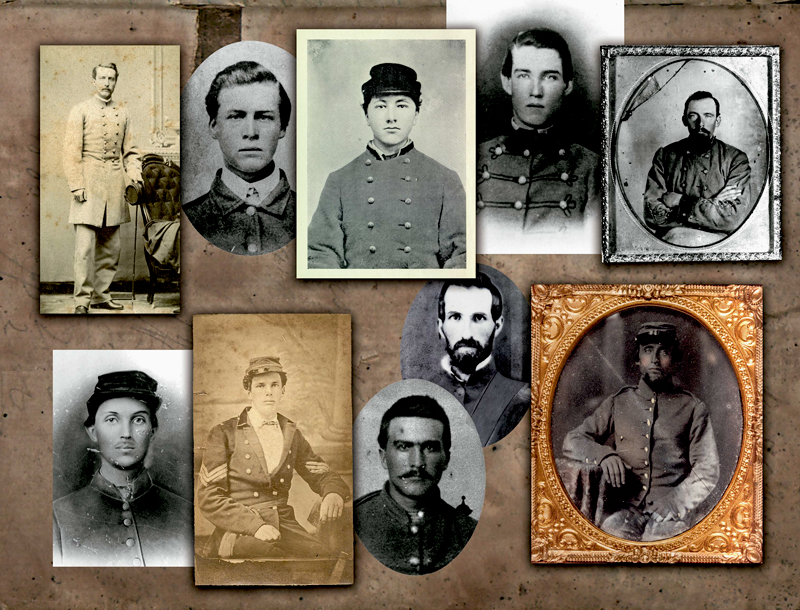 Here is the soldiers’ story of Gettysburg—in their own words. This sets Gettysburg 1863—Seething Hell apart from many thousands of books about the Civil War. The lavish production offers a stunning new perspective on the most famous battle of the American Civil War. More than a decade in the making, this powerful book is storytelling at its most riveting. Every copy includes four bonus custom-designed fold-out color maps. To commemorate the 150th anniversary of the Civil War, a limited edition of 150 copies of Gettsyburg 1863—Seething Hell by Thomas R. Pero has been created for the serious Civil War enthusiast. Copies are signed and numbered by the author on a distinctive vellum sheet bound into the front of each book. This valuable limited edition is handsomely bound in red leather stamped in embossed metallic copper. A red place-holding ribbon in the book and a leather slipcase finish the attractive set. Perfect for the collector. Also makes a superb gift. Numbers are assigned in the order payment is received. No more will ever be produced. Our free Dispatches from the Front newsletter will keep you current as we plan and develop other publishing projects commemorating the boys in blue and gray. We will never share your contact information with anyone!